Price REDUCED!!! Motivated Sellers trying to move closer to work. 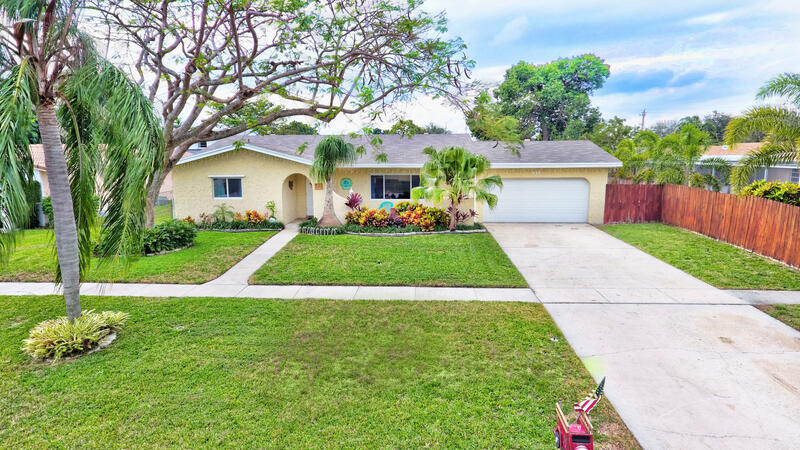 Perfect family home located in an extremely safe neighborhood. This 3/2 home is has beautiful open layout with a kitchen upgraded with stainless steel appliances. 1 y/o ROOF with 9 year warranty able to be transferred to buyers. Property has a big backyard that is fully fenced perfect for your kids, dogs or both to play. 1 y/o water heater, new windows installed 2014, upgraded electrical box. Plenty of storage with 2 car garage and large attic space. NO HOA! Walking distance to Coconut Creek Elementary, Hosford Park, Windmill Dog Park and just minutes from Broward College Coconut Creek Campus. Come walk the neighborhood and experience this beautiful home!! Listing Courtesy of London Foster Realty, Inc.